Accutech Access is a reliable, affordable and scalable electronic access control (EAC) solution from Accutech to monitor the movement and security of residents or patients, nursing staff and visitors. The system is directly integrated into the Residentguard wander management and Cuddles infant protection solutions, and can integrate to additional security systems when scaled to the Accutech Integrated platform. Accutech Access is designed exclusively for electronic access control (EAC). End users pay only for access control and can scale to integrate with the Residentguard wander management solutions. Accutech Compass boards have an advanced circuit board design, with a high speed RabbitTM processor, and surface mount component technology. 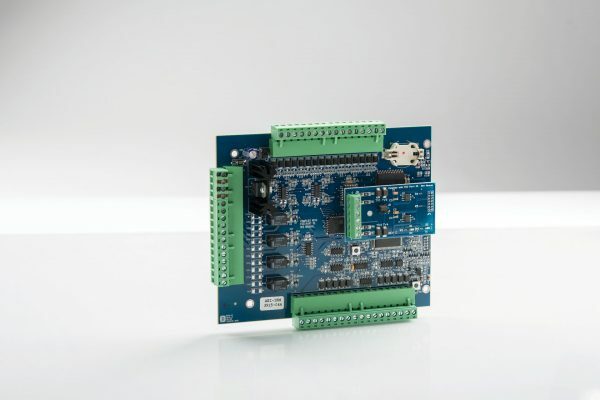 Compass boards can achieve nearly limitless capability within an extremely small footprint. CONTROL ALL INGRESS & EGRESS POINTS WITH ONE SOLUTION. 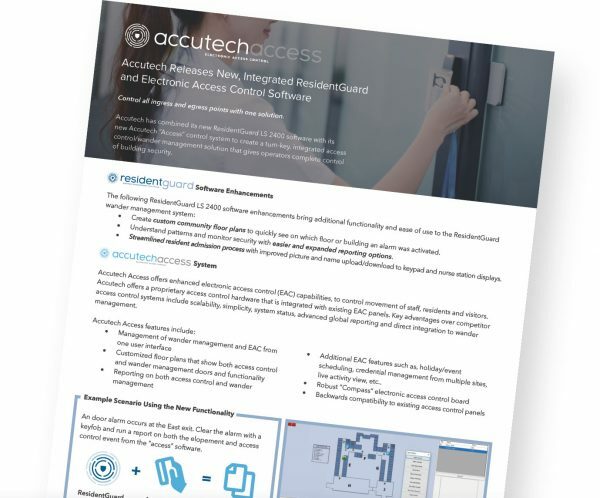 Accutech has combined its new ResidentGuard LS 2400 software with its new Accutech "Access" control system to create a turn-key, integrated access control/wander management solution that gives operators complete control of building security. The hospitals, schools and universities market (up 6%) slingshot past last year’s No. 1 access control segment, office buildings (even with 2015). Government and utilities also fared well with gains of 3 points apiece. Retail and entertainment venues receded by 6 points.